I’ve been feeling a little hopeless about my future career prospects lately. It’s a difficult life for us Englishy folks and sometimes it seems like success is impossible. 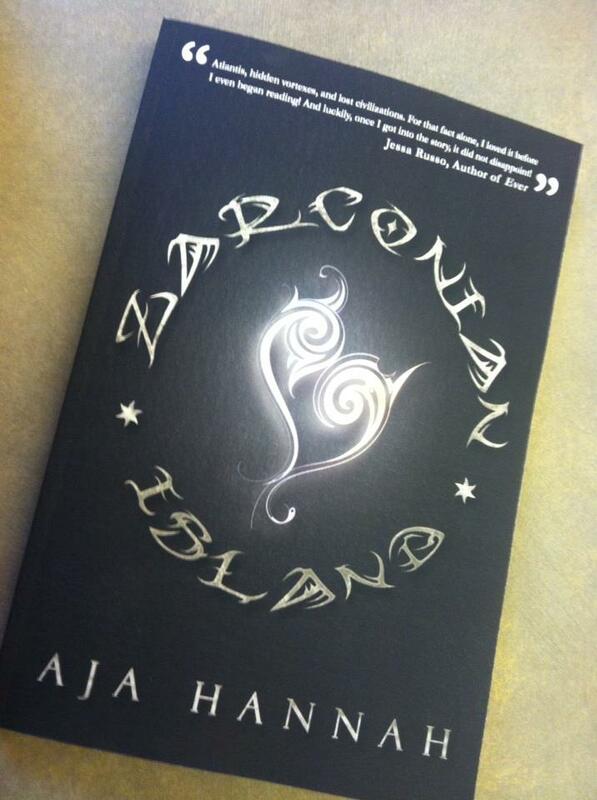 Yesterday, however, I got my copy of Zarconian Island by Aja Hannah. Aja went to school with me… In fact, I sat next to her in my very first journalism class. She and I were on the newspaper staff together. We carved pumpkins and watched movies and went to Kennywood’s Fright Night. Needless to say, I was super excited to get and read my friend’s book published by Curiosity Quills. I have a friend who wrote and published a novel. That’s super awesome. I *just* started reading my copy, but I’ll tell you now that I already laughed out loud within the first three pages. Let it be known that I think that phrase “forty pixie sticks excited” is a new favorite of mine. I’d like to say that I sat down with Aja and asked her these questions, but I was busy the last time she was in town. Anyways, through the magic of Facebook, I got to ask her some questions about her writerly-ness. Take a look at the interview below and then BUY THE BOOK on Amazon or Barnes and Noble and enjoy! But don’t enjoy it too much, Aja said she wants us to like the sequel better! Q. Where did the inspiration for this book come from? Q. How did you find time to write while in college? A. Well, I had a job (sometimes two). I worked on the paper, and I headed the literary magazine. (And this is on top of my regular coursework.) But really, it wasn’t like I had to make time to write. Mostly, I do what I want in life, and writing is the thing I like to do so I do it a lot. Q. Did your journalism experience in college affect your creative writing at all? A. Every writer’s advice is to keep writing, but very few tell you why. Keep writing because your writing will get better. Keep writing because you’re more likely to get published. Keep writing because any achievement will keep you motivated. Keep writing because the writing world is hard. Keep writing because you like to write. Q. Tell me a little bit about the process of trying to get your book published? A. Oh God, the process. I’ve had at least ten people ask me when the next book is coming out and, when I say next year, they ask why it takes so long. Well–supposing it’s already written–an author has to query for an agent and the agent has to query to publishers. I don’t have to do that because I have a publisher, an indie one so I don’t have to give an agent 15%. But I still have to send it to them, negotiate a contract, do at least three rounds of line edits, edit for plot holes that the editor sees, accept changes the proofreader sees, and negotiate a cover and release date. Afterward, the layout has to be done completed and it has to be sent to the press. That can takes months by itself. After all of that, the book may still be held so that the media can get the buzz on it. ARCs (Advanced Reader Copies) have to be sent out for reviews. So it’s a long and somewhat exhausting process so love the book until you hate it. Q. Why do you write YA and do you think YA is important for adults? A. I write YA because I am a kid? I don’t know. Because that’s the genre I like? People have been asking me that question a lot. I like the second question though. YA is not important for adults. I’m sure they could live without it, but it offers them the opportunity to relive a younger age, and gives them a glimpse into the life of a current young adult. Well, some do. Others are dramatized and romanticized. Still, those are good for entertainment. Isn’t being young the best part of your life? I don’t think it’s “important” but I think it is “worthwhile.” Can they live without it? Yes. Should they? Ehhh…. Now, young adults without young adult literature is different.